As you may have read, State Senator John Sampson of Brooklyn was Indicted on charges that he stole money from the very people for whom he had a fiduciary responsibility. It’s tempting to conclude that this was the work of one allegedly corrupt politician with a larcenous heart. But dig a little deeper, and you quickly find that the corruption that enabled Senator Sampson’s alleged theft runs deep. Senator Sampson is a lawyer. 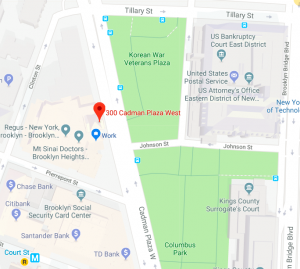 After spending a few months with the Legal Aide Society, he joined the politically connected law firm of Alter and Barbaro, located on Court Street in Brooklyn in the heart of political Brooklyn. Soon after he ran for State Senate and won. Apparently, while serving his constituents in the State Senate, he was also winning plumb appointments to act as Administrator of foreclosed real estate. When a property goes into foreclosure, a judge must appoint an administrator to ensure that any funds generated by the sale of the property is distributed properly and any surplus is returned to the former owner of the property who had the misfortune of being foreclosed on. In a number of properties that Sampson administered, there were substantial surpluses. But instead of making sure that the person who lost his real estate got the surplus — that as Sampson’s job — he stole the money from the attorney escrow account. Senator Sampson obviously must pay for his larceny, but that’s not the end of the story. There are many unanswered questions which go to the heart of the legitimacy of our political and judicial system. First, why was Senator John Sampson chosen by judges to do this well paid legal work? The judges had an obligation to choose the best lawyer to administer the foreclosure. Was Sampson truly the best qualified and most capable lawyer the judges could find to do this work? Or was he chosen as a political favor to the politically connected Alter and Barbaro law firm? Second, reports indicated at least some of the money Sampson stole was gone for years, seemingly with very little inquiry from the judges. Why wasn’t the court being more pro-active in demanding an accounting for the money from Sampson? Third, What about his firm’s responsibility in all of this? At the very least, his bosses at the firm had an obligation to check on his work. Was it mere negligence in supervision, or something else? After all, Senator Sampson apparently used some of the money to help fund his campaign for Kings County District Attorney. Almost certainly, Alter and Barbaro would benefit from having an old friend and employee as top prosecutor in the borough. Most judges in New York City and State get their judgeships by being chosen by a party boss, not by merit. One of the paybacks a judge can give a politician for helping him get his judgeship is by awarding the politician and his cronies lucrative court appointed positions like administration of a foreclosure. In this instance, that system has resulted in people who were subjected to a foreclosure to not get at least the little bit of money left over (money that is rightfully theirs) to help restart their lives. This is what democracy and justice looks like in our great city.